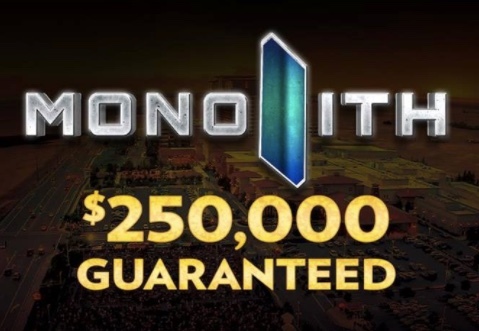 One of the signature @TVPokerRoom events - the $250,000 Guaranteed Monolith - returns again as part of the 2017 Ante Up Worlds. Day 1A is Thursday at 5pm, 20,000 stacks, 30-minute levels on Day 1, 12 percent of the field cashes and 10 percent advances to Sunday's Day 2. There is four starting flights, including 11am and 5pm on Friday, and the final starting flight at 11am Saturday. This event typically draws a field in excess of 750 total entries, and a big field is anticipated this time around.